Baltania OÜ has awarded Pöyry with an assignment for Engineering, Procurement and Construction Management (EPCM) services for the new Torrefied Pellet Plant project in Vägari, Estonia. The assignment includes project management, basic engineering, procurement and site supervision services. This project is a step forward in energy transition from fossil fuels to bio-coal made from renewable biomass. For this purpose, Baltania has brought together the best parties to build a commercial, industrial scale torrefied pellet plant using the latest state-of-the-art technology. "Pöyry is delighted to support Baltania with this important and challenging project in Estonia. It is one of the first industrial size torrefied pellet production plants in the world and by far the largest one, and we are proud to be their partner in this demanding project," says Ilkka Heikkilä, Pöyry's Regional Director for Thermal Power. "We bring together two parties: CEG and Pöyry to execute this torrefied pellet plant project in Estonia. CEG delivers superior torrefaction technology and Pöyry is the chosen partner for its expertise in engineering, procurement, construction and management of biomass energy projects," says Mika Hassinen, CEO of Baltania OÜ. "CEG was chosen to deliver its superior torrefaction technology and project management knowledge in torrefaction pellet plant projects. We see this as a major step forward in implementation of energy transition from fossil fuels to sustainable biomass-based fuels. We are proud to support Baltania in this important project in Estonia," says Jeroen Koot, CEO of CEG B.V. The construction of this new production plant is expected to be completed during Q1/2020 and when in full operation it will produce 157,000 t/a of torrefied pellets made of sustainable biomass sourced from forestry wastes and by-products of wood processing industry. Torrefaction is a thermochemical process applied to biomass which transforms it into a homogeneous fuel (bio-coal) with remarkably superior handling, energy density, water resistance and grindability properties that make it comparable with fossil coal and a sustainable replacement of fossil coal in power generation plants and other processes. The torrefaction process is based on CEG technology which offers a number of novel features. 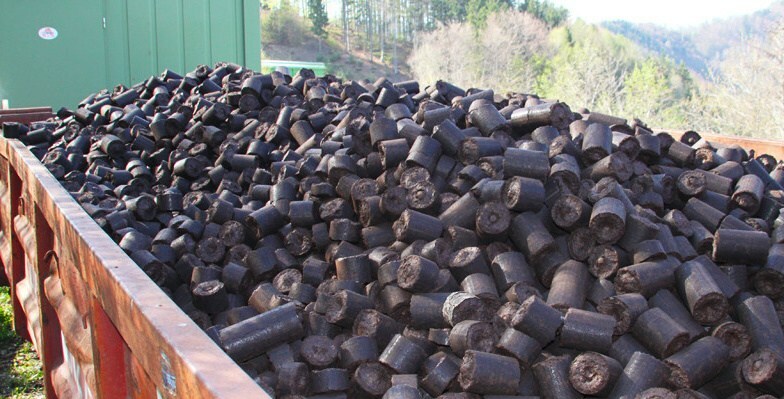 CEG's torrefaction process converts biomass into torrefied pellets and biochar utilising its proprietary torrefaction reactor. The torrefied products are produced with no net thermal energy imported from non-renewable systems. The value of the order is not disclosed. The order will be recognised within Pöyry's Energy Business Group order stock in H2/2018.